Whether you are planning to travel to Southeast Asia for a few months or just a quick holiday, you should try to include at least some of the stunning local natural wonders in your itinerary. There are so many amazing places to explore. 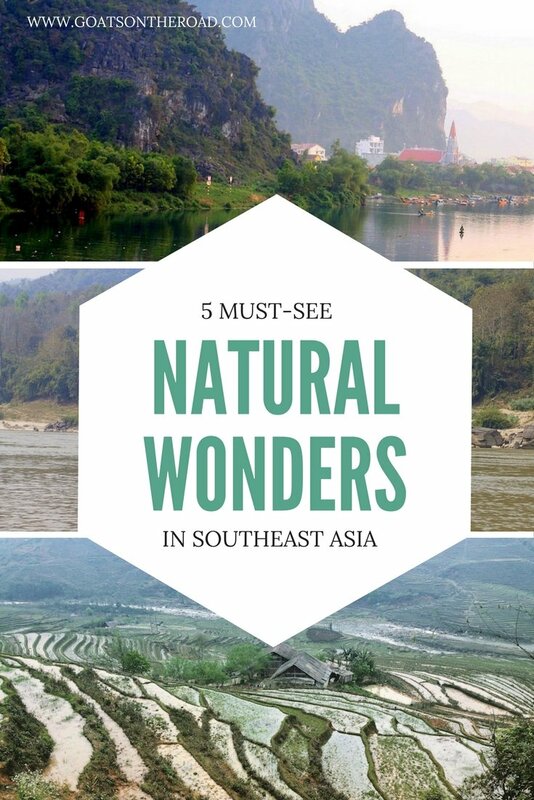 We get it can be tricky to know which ones to see, so we’ve put together a list of 5 of our favourite natural wonders we’ve discovered on the road in Southeast Asia. 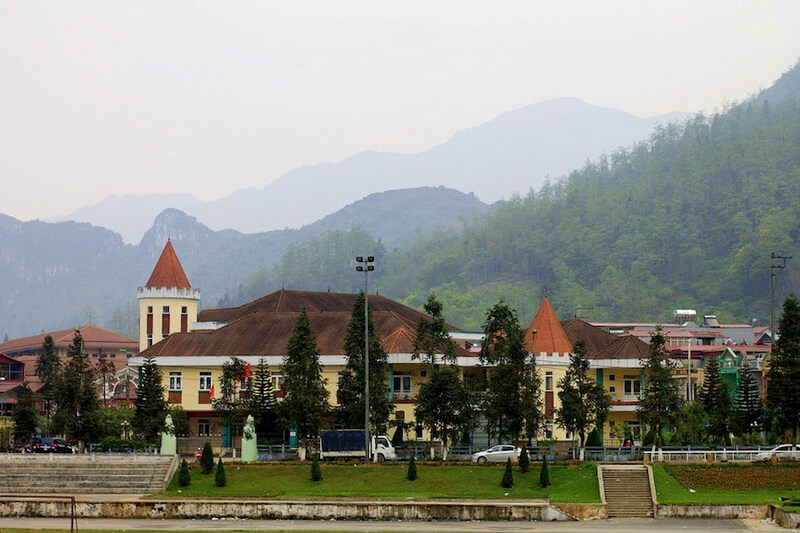 If you are looking for something fun and spectacular to explore, head to Phong Nha in the central highlands of Vietnam. The stunning Nha-Kẻ Bàng National Park is a UNESCO World Heritage Site and should certainly be on your list of things to see in Vietnam. Set amongst the limestone karsts, the scenery is truly beautiful. We highly recommend renting a bike to drive around the park. The roads here are fairly quiet and easy to follow. For even more spectacular views, drive out-of-town just before sunset to see the sun setting into the beautiful karsts across the river. 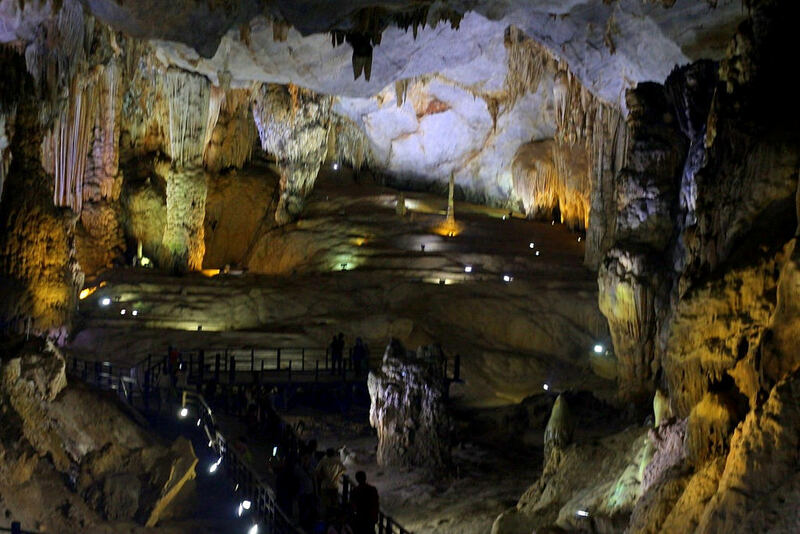 Apart from the jaw dropping park, Pho Nha is also well-known for its wondrous caves. There are 5 main caves that will suit everyone’s taste. If you are after a true adventure, try the Chay River – Dark Cave. The tour here includes a 400 m zip line, followed by an exploration of the cave with headlamps, swimming across the Thuy Tien Lake and a mud bath. The day ends with an exhilarating jump into the fresh water with various games organised for your entertainment. Sounds like your bag? Great, you should definitely go for it! For the less adventurous, wanting to gently appreciate the natural wonders of this area, we can highly recommend the Paradise Cave. This suited us perfectly because we could explore it on our own terms and it’s easy to get to the cave via motorbike. The scale of this 31 km long cave is breathtaking and it’s subdued lighting allows you to enjoy the shimmering stalagmites and stalactites. As a regular visitor you can only explore the first kilometre which is enough to have a glimpse of this magnificent natural wonder. There is a wooden walkway built to explore the Paradise Cave so don’t have to worry about your footwear. 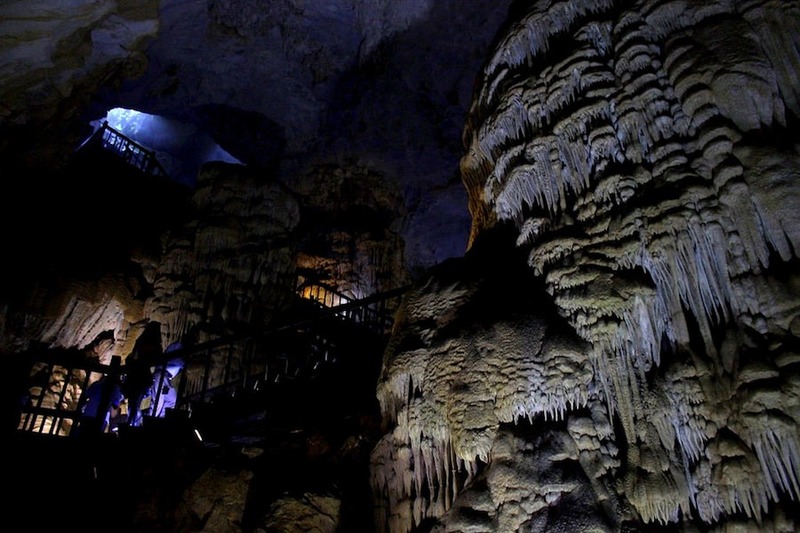 If you are a big spender, check out the restricted Thuy Cung Cave. The 2 day tour includes a trekking tour through forests, swimming in the blue waters of the cave and spending a night camping at the Nuoc lan Cave mouth. The tour costs around $3,000 USD per person. We’d like to say we did it, but we haven’t. 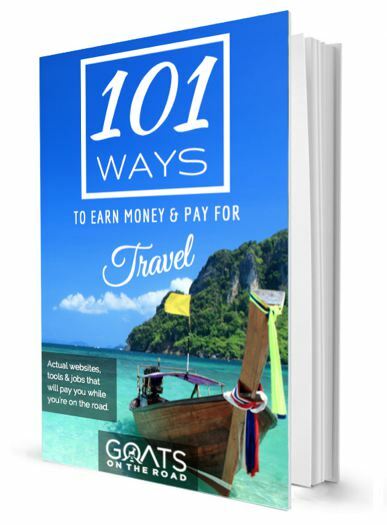 Contact the Tourism Centre in Phong Nha for more information. 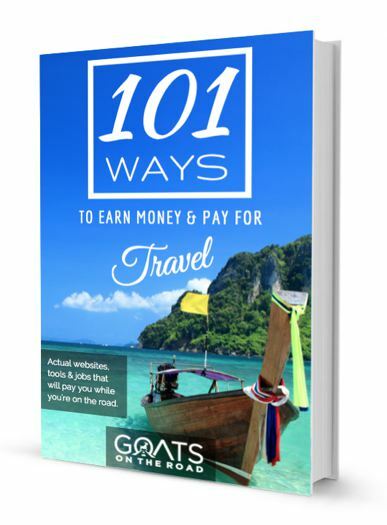 This is where to go in Vietnam for an adventure! Don’t miss these caves. One of the most unique and spectacular places that we visited in Vietnam was the tribe village Ta Van, 10km away from Sapa in northeastern Vietnam. It’s one of those places that you see on postcards and wish you could visit one day. 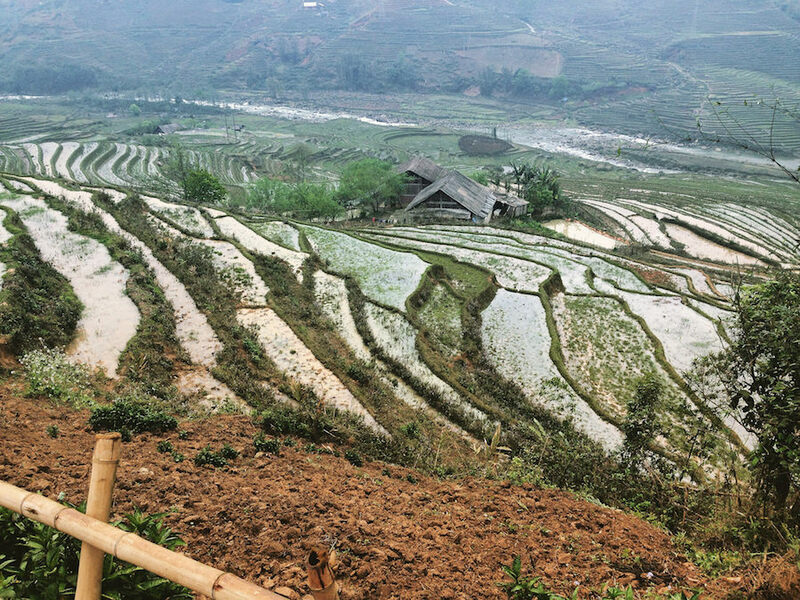 Even though it was pretty cold and foggy during our visit, the rice terraces still looked absolutely incredible. We both agree that trekking through the rice fields was one of the most amazing things we did during our 3 month visit in Vietnam. On top of the incredible landscape, here you will meet the local tribes people. In Ta Van village, we mostly encountered the local tribe ladies who seem to run this place and keep the visitors safe. They know the mountains like the back of their hand and often wander around the villages in hope of lending a hand to some lost travellers, like us. They helped us get down the slippery muddy slopes and showed us the shortcut through the forest. Of course, all the help comes at a cost. You will be pushed hard by the ladies to buy their handicrafts, such as colourful scarves or wristbands. However, buying just from one, you will upset the others, so be strong-willed in the negotiation process. 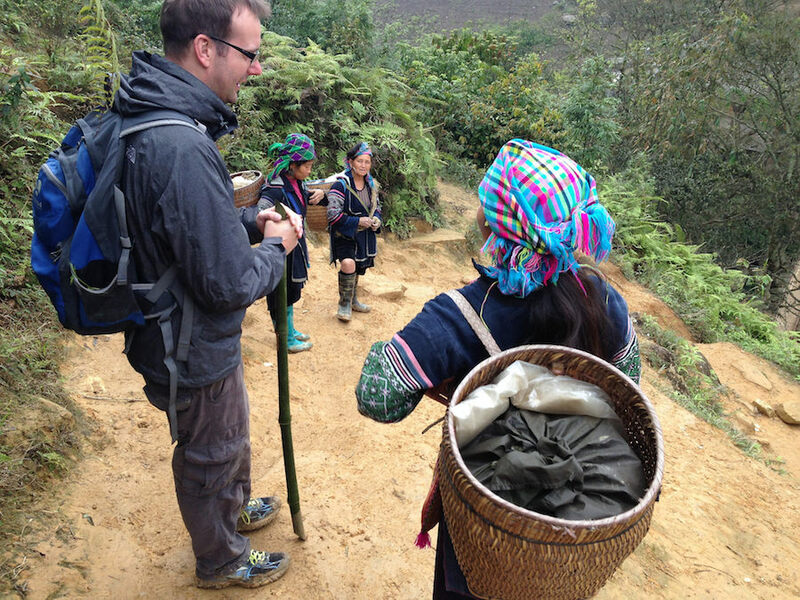 Incredibly, in such remote places like Ta Van, the local women speak very good English. None of them went to school, can read or write, but their marvelous language skills come from the visitor interactions they have. It really was fascinating to be able to talk to them about their families, marriages and daily life in the mountains. ☞ SEE ALSO: Things To Do in Hanoi – Don’t miss these Top 11 Sights! 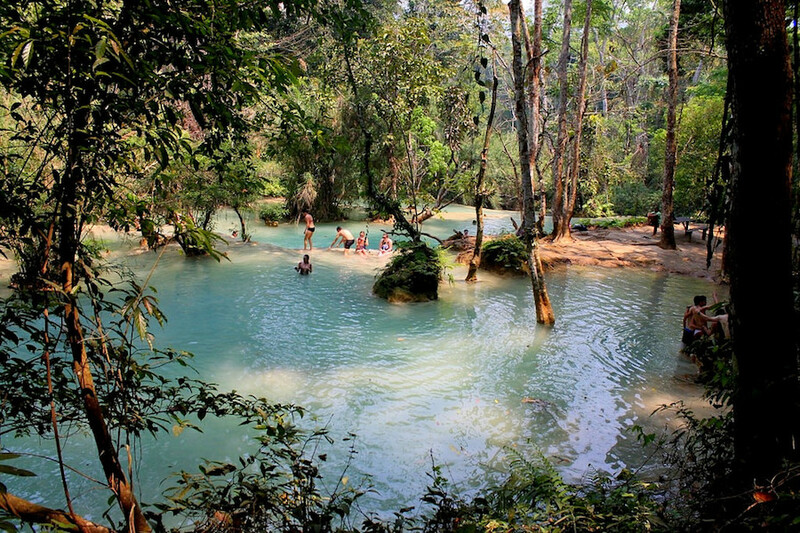 You simply can’t go to Laos and miss out on some fun in the jungle. 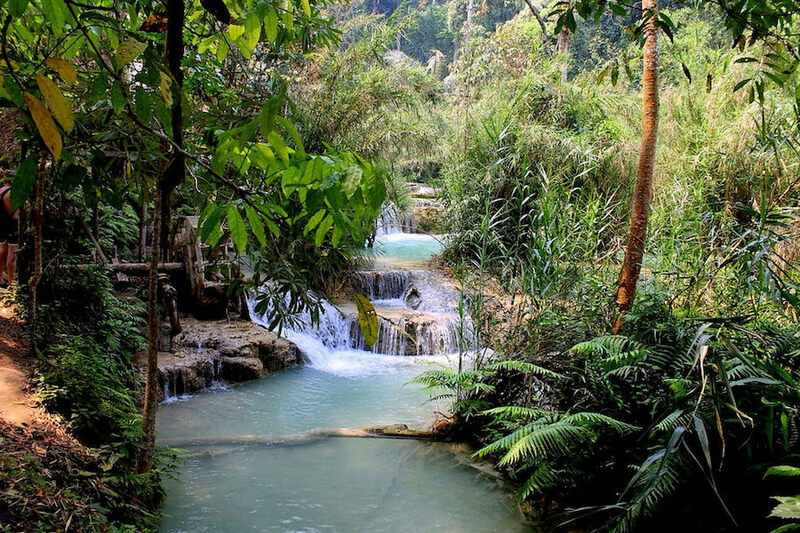 The Kuang Si waterfall, located in the lush green forest, is also a perfect place to escape the heat if you are visiting the area in summer time. The main attraction here is the natural turquoise multi-tiered pools where everyone comes for a quick dip or a day out. 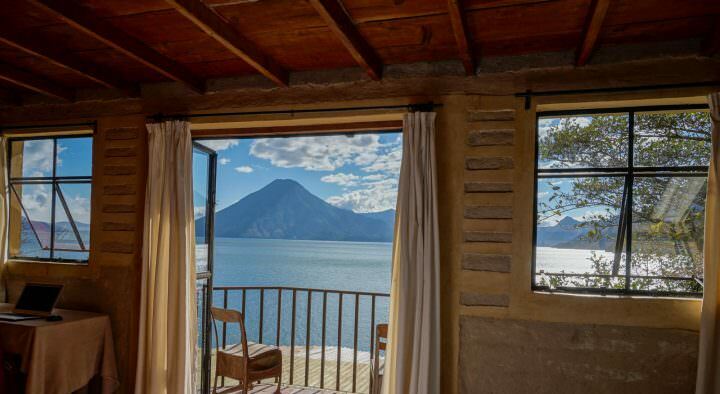 We really recommend spending a whole day here. You can trek to the top of the waterfall though the lush forest before cooling off in the pools or simply just enjoy the stunning surroundings. You might see locals diving into the pool, but be aware that these wonderful pools are natural and the levels of water vary greatly. The only pool deep enough is the middle pool, but even then we’d advise to be cautious. As well as slippery, the pools hide tree branches and rocks underneath the water so be extra careful when jumping in. Not only are the falls a jungly paradise, it’s also a natural spa! If you stop moving for a minute, you might feel a tingly sensation in your feet. Don’t be frightened, the pool are full of tiny fish that eat on dead skin, just like the ones in fish tanks around SE Asia. Free pedi! Tours to the waterfall start from around $5 per person or you can hire a Tuk tuk to take you there anytime. As independent travelers, we opted to hire a motorbike and make our own way there from Luang Prabang. It cost us around $15 for the day plus another $2 to fill it up with petrol. Even though it might seem like a more expensive option, it pays off in having the freedom of time. 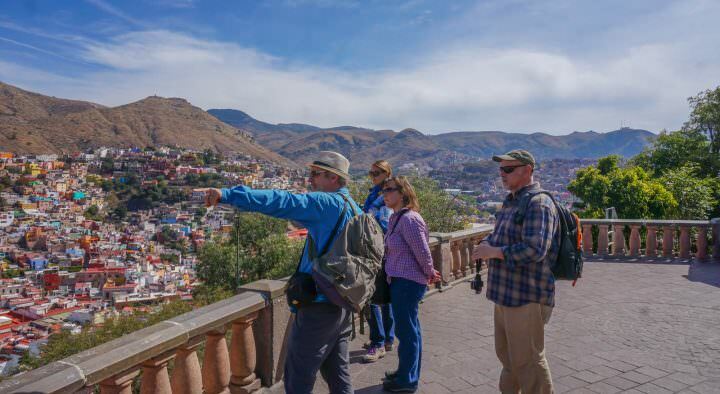 It’s never good to be rushed by a tour guide if you are really enjoying the place and want to chill a while longer. The road is easy to follow with signs along the way. Just follow Highway 1 south of Luang Prabang until you reach a left hand turn off where the sign points to the waterfall, it’s around 4km from there. One of the most beautiful journeys we had in Southeast Asia was our slow boat tour on the world’s 12th longest river, the mighty Mekong. At over 2,700 miles long, the river stretches from the Tibetan Plateau down to the South China Sea via 6 countries across Southeast Asia. It easily makes it to the top of the list of the most amazing natural wonders that we have encountered in this region. 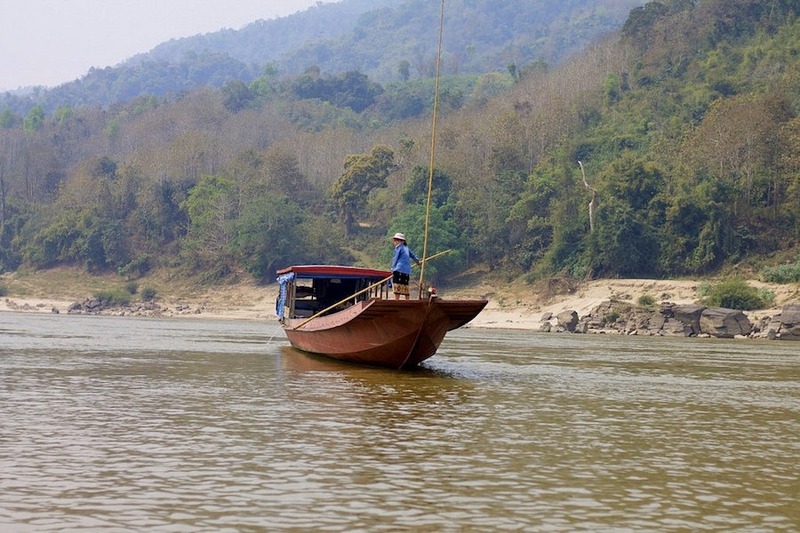 Due to the lack of infrastructure in Laos, private slow boat tours are very popular amongst travellers. An expensive experience as it was ($120 USD per person), it was absolutely worth the money. Add the fact that there were only 6 of us on a 28 seat boat and it makes this almost an exclusive private cruise. 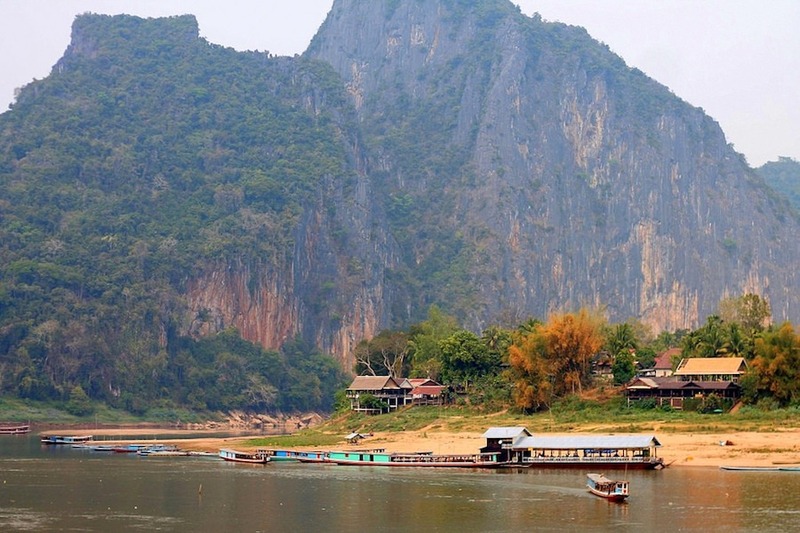 We really enjoyed the stunning scenery as we slowly glided along on the calm waters of the Mekong River. We were fed and watered onboard by the wonderful crew who looked after us throughout the 2 day tour. Alternatively, for another amazing watery experience you can opt to visit Mekong Delta in southern Vietnam. Tours mostly start in Saigon (Ho Chi Minh City) and take you on a surreal journey through the fascinating network of rivers, swamps, floating markets and villages. You might think that Singapore is just a soulless financial capital in Southeast Asia, but there’s much more to the country than just skyscrapers and sparkly designer shopping malls. Believe it or not, but you can actually go on a hike in Singapore! So next time, instead of browsing the shopping areas and spending your hard-earned pennies at the tourist trap of Sentosa Island, check out Singapore’s green spaces, parks and reservoirs. The Southern Ridges prides itself on fantastic scenic views and an iconic pedestrian ‘wave’ bridge while the Labrador Nature Reserve will take you on a panoramic seaside route. To help digest all that gorgeous grub you just had at one of the Hawker food markets in the city, head to the Bukit Timah Nature Reserve. 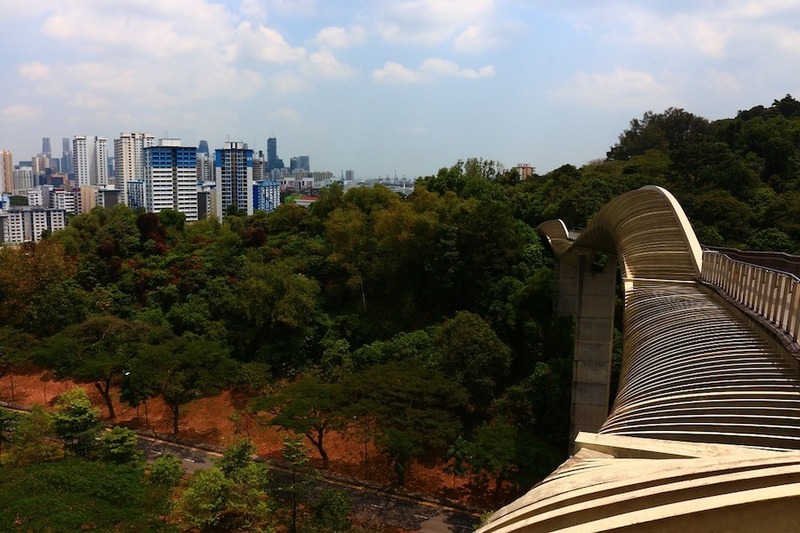 At 163m, the Bukit Timah Hill is the tallest hill in the country and home to many species of the flora and fauna. These are just a few green sites in Singapore, for more details and info about the natural wonders in this tiny country, check out their official national parks website. 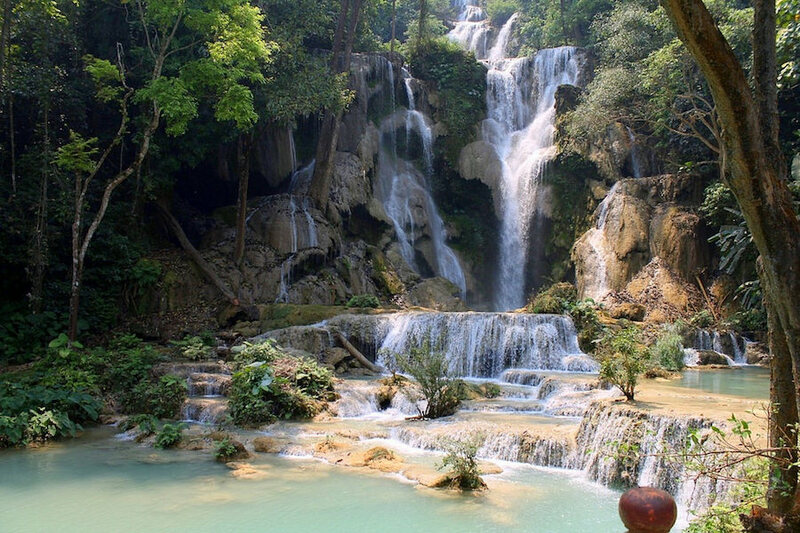 Kuang Si Falls is amazing. I was there last year and enjoyed the blue pools for a bit. I wish I had visited Phong Nha when I was in Vietnam; I skipped it and still regret it.